MANZANITA – The Big Wave Café will host a benefit spaghetti dinner to raise money to restore handicapped access to Manzanita’s Pine Grove Community House. Built with volunteer labor in 1928, the Pine Grove Community House, located downtown on Laneda Avenue, is a hub of activity, hosting everything from weddings to lectures. In the spring of 2010, the Pine Grove Community Club, which owns and operates the building, received a letter from Manzanita Development LLC, the owners of an adjacent gravel lot, asking for rent money for an existing handicapped-access ramp attached to the building’s east wall on the lot. The club originally believed the ramp, which was built in 1978, was located on its property. However a subsequent survey indicated it is on land now belonging to Manzanita Development, LLC. The previous lot owner had permitted, through a handshake agreement, the club to use the lot for both the ramp and event parking. However, unable to pay the rent requested by the new owner, and after learning it didn’t have a case for “adverse possession,” which would have allowed the club to keep the ramp in place, the club had no choice but to remove the ramp. Nehalem architect Anthony Stoppiello is designing the new ramp, which will be constructed at the front entrance to the building, which faces Laneda Avenue. “It’s the only place we can put it,” said Ted Weissbach, Pine Grove Community Club Board member. The cost of the project will be $15,000. “We’ve already collected donations of about $4,000,” he added. Williams, who, with his wife Carol, purchased the Big Wave Café in September, became acquainted with the Pine Grove Community House by catering a number of events there. When he heard an effort to replace the handicapped access was underway, he decided a fundraiser was in order. “It’s a great place, and this is a great need,” he said. 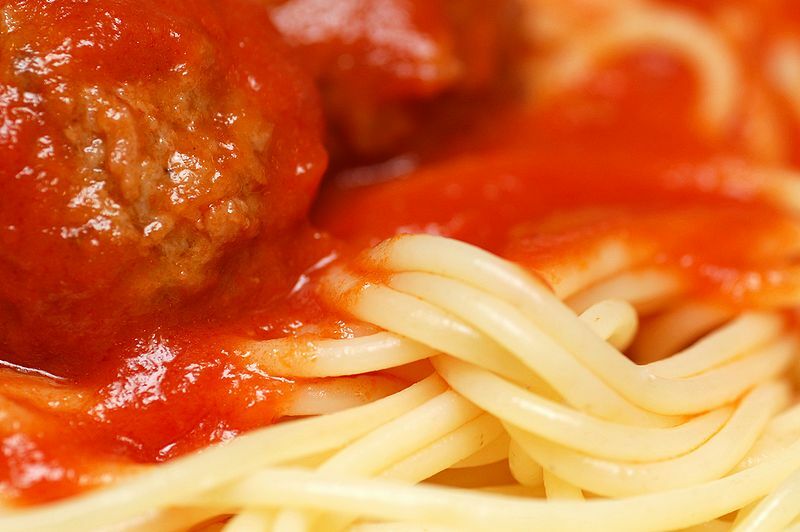 The all-you-can-eat spaghetti benefit dinner is scheduled for 4-7 p.m., Tuesday, Feb. 28 at the Big Wave Café. The cost will be $10 per person with 100 percent of proceeds going toward the handicap access ramp project. Posted by rockyintertidalcocreative on February 16, 2012 in Uncategorized.